In our times there is a growing and a widespread fake Jewish spirituality that is perhaps as dangerous as anything that can happen. You have things that seem to be spiritual but are somewhere between confidence games and magic tricks. All of these things are making people, and some honest people, turn away from the experience of anything to do with spirituality. 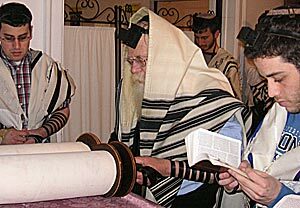 That is the reason why when a seeker or searcher somehow finds his way to a Jewish prayer place, he or she usually finds it dry, boring, and unappealing, especially if the seeker has any kind of a spiritual tendency– which in some way most people do have. Now, the fact is that there is a very old and very rich Jewish spirituality, as ancient as anything else. I am speaking about very clear-cut and very public forms that appeared not just in the last century, but have been a part of Jewish life for as long as we know about Jewish life. It is not a matter of esoteric corners of Judaism. But, again, there is an attempt by so many people to take out the spiritual part and to leave the sometimes-practical message and sometimes no message whatsoever in order to make it fit within some preconceived notion of what Judaism is.